Top companies from the Silicon Valley like Google and corporate bodies such as US Chambers of Commerce are backing the legislations. If passed by Congress and signed into law, the legislations would benefit hundreds and thousands of Indian professionals on H-1B visas whose current wait time for permanent legal residency is more than a decade. The H-1B visa, most sought-after among Indian IT professionals, is a non-immigrant visa that allows US companies to employ foreign workers in speciality occupations that require theoretical or technical expertise. 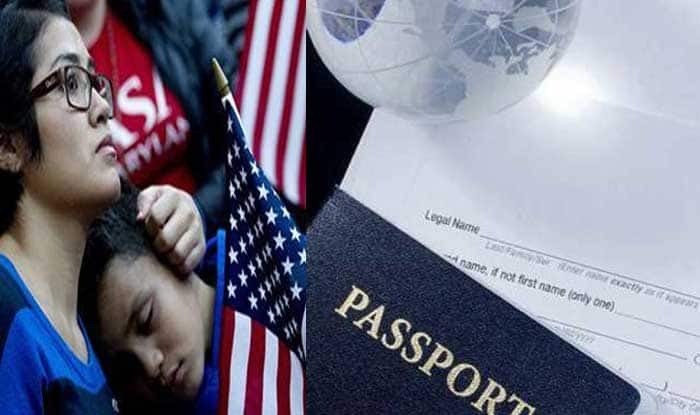 According to some recent studies, some categories of those Indian professionals face a wait of 151 years under the current system which imposes a country cap on people who get green card. The United States makes currently 140,000 green cards available every year to employment-based immigrants, including many who first come here on temporary H-1B or L visas. The existing law, however, provides that not more than seven per cent of these green cards can go to nationals of any one country even though some countries are more populous than others. Because of this seven per cent limit, for example, a Chinese or Indian post-graduate may have to wait half a decade or more for a green card, much longer than a student from a less-populated country. In the Senate, Republican Mike Lee and Democratic presidential aspirant Kamala Harris introduced the Fairness for High-Skilled Immigrants Act on Wednesday, a bill that would remove per-country caps for employment-based green cards. “Ours is a nation of immigrants, and our strength has always come from our diversity and our unity,” Harris said. “We must do more to eliminate discriminatory backlogs and facilitate family unity so that high-skilled immigrants are not vulnerable to exploitation and can stay in the US and continue to contribute to the economy,” said the Indian-American Senator. Co-sponsored by 13 more Senators, the Fairness for High-Skilled Immigrants Act increases the per-country caps for family-sponsored green cards from seven per cent to 15 per cent. Without adding any new green cards, it creates a “first-come, first-served” system that alleviates the backlogs and allows green cards to be awarded more efficiently. “Immigrants should not be penalized due to their country of origin,” Lee said. An identical bill — Fairness for High-Skilled Immigrants Act (HR 1044) — was tabled in the US House of Representatives by Congressman Zoe Lofgren and Ken Buck, Chair and Ranking Member of the House Judiciary Subcommittee on Immigration and Citizenship, with co-sponsorship of a bipartisan group of 112 Congressmen. Fairness for High-Skilled Immigrants Act alters the per-country limits for employment-based immigrants so that all are treated equally regardless of their country of birth. Noting that the immigration system is severely broken, and it has been broken for decades, said Lofgren said at the heart of this broken system are the outdated employment- and family-based immigration systems, which suffer under decades-long backlogs. “In combination with the per country limits, these backlogs keep nuclear families apart for decades, while preventing US employers from accessing and retaining the employees they need to stay competitive. The Fairness for High-Skilled Immigrants Act begins to address these problems and makes the immigration system somewhat more rational. It is a small, but good step forward,” Lofgren said. Buck said year after year, he has met with constituents who come here legally on work visas from India or China and face decades-long wait times for obtaining permanent residence. “We want to ensure America remains globally competitive, we need to ease the backlogs and leverage the talent and expertise of our high-skilled immigrants who help strengthen the U.S. economy and fill knowledge gaps in certain fields, he said. These are people who have helped America grow and thrive as a nation of immigrants and the US needs to make sure the system continues to value those who are following American laws and doing the right thing, Buch argued. Aman Kapoor, co-founder and president of Immigration Voice, welcomed the move. “It would help to grow our economy by allowing highly skilled immigrants to start their own companies and hire American workers. And, it will finally remove the last vestiges of discrimination from our high-skilled immigration system,” Kapoor said.